Washington D.C. played host to space agency representatives from 32 nations on January 9-10, who attended summits on international collaboration in the space sector. As a welcome present, the US White House announced its intention to support an extension of the International Space Station operations through 2024. The announcement was greeted enthusiastically, even by US-rival China: “We’re very happy to hear about extension,” Xu Dazhe, administrator of the China National Space Administration, told Irene Klotz. “It means that by the time our space station is being built, we would have a companion up there,” Xu said, speaking through a translator. In fact, head of CNES, the French space agency, Jean-Yves Le Gall was so encouraged by developments at the summits as to speak hopefully of a further expansion of the ISS partnership. “The big question for the next three years is whether China will join the International Space Station,” he told Aerospace & Defense News. (NASA Administrator Charles Bolden appeared to downplay that option primarily due to the difficulty of negotiating the partnership treaties. “It was painful, and no one wants to do that again,” he said). Many in the space community have advocated for the extension of the ISS program through 2028. 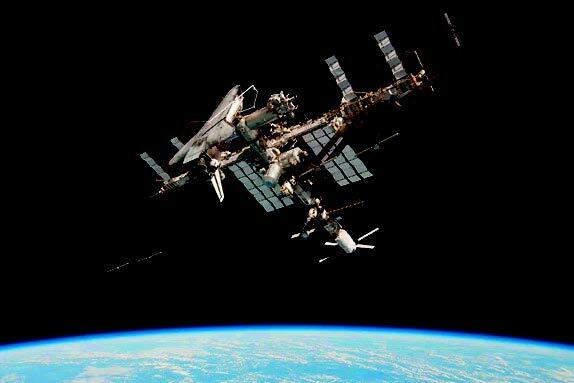 There is no follow-on space station program currently planned by the 15 nations who operated ISS, and the station has only been able to ramp up its orbital research to full capacity in the past couple years, following the 2011 completion of construction activities. With the original decommissioning date set for 2016, there would have been barely five years to focus on research, which is, afterall, the primary purpose of the station. That date was pushed back to 2020 in 2010 and more recent studies by NASA have indicated that ISS could hold up through 2028, albeit with some require parts replacements and amped up maintenance. The apparent US backing for an extension to 2024 signals to potential corporate research partners that it may be worthwhile to jump into the orbital science scene. It also means that NASA and its partners can continue to use ISS to solve the major physiological challenges associated with long term space flight, challenges that must be addressed before sustainable crewed deep space missions become a reality. The partner nations have all agreed to extend that to 2020, with Russia potentially willing to go it alone even after that. But while ISS as a fully operational research lab and test platform is possibly irreplaceable, these extension still come with complications. Funding, naturally, is one concern. The European Space Agency recently announced a plan to cut its ISS operational spending by 30%. ESA has so far declined to release details as to what will change to meet such a drastic cutback. On the US side of things, President Obama has now come out in support of extended operations, but the additional expenditures involved will assuredly require funding support from an uncertain Congress. Even within the space community, there are always concerns that supporting orbital programs may detract from investment in exploration programs, a concern amplified in the straightened financial atmosphere of recent years. “We will need to ensure that any decision to extend ISS is accompanied by the necessary resources so that NASA’s other important missions in science, aeronautics, and human exploration are not impacted adversely,” was the response of Congresswoman Donna Edwards, generally a strong NASA supporter. The risk assessment conducted for the 2020 extension highlighted potential concerns ranging from stresses on the truss interface points where modules and other elements are attached to cycling on high pressure oxygen lines and reduced power availability from impeded solar array efficiency. Other aging issues may not immediately constitute safety risks, but could be problematic in other ways. For instance, solar array degradation from space environment exposure will increasingly reduce the station’s power production efficiency. In 2010, Boeing’s vehicle director for ISS Brad Cothran told Space.com “We’re not going to run out of power until well past 10 years from now. It’s going to be somewhere within 2028, plus or minus five years.” That might have been reassuring in 2010 – now it’s quite another matter. 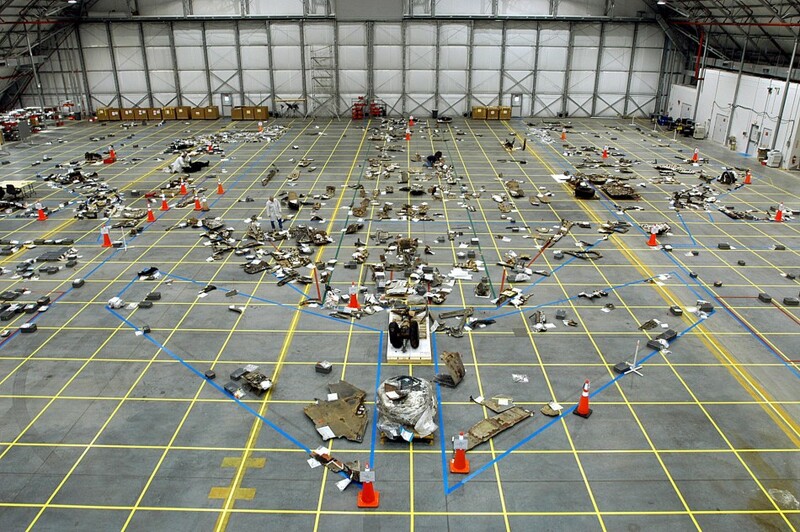 As for replacing those solar arrays, without the expansive cargo hold of a Space Shuttle…that might be difficult. There is the matter of micrometeoroid impacts. ISS experiences a constant barrage of particulate impacts, some of them bits of detritus from the station itself. These impacts put holes in handrails used during space walks, in the solar arrays, in the Cupola windows, and just about everywhere else. Over time, they accumulate, and sooner or later could ding something important. Radiation is an ever present danger to electronics in space, and ISS is no different. Memory devices aboard the station seem to lose internal charge and become unable to hold data after about ten years. That issue is still under investigation, but no doubt some electronic elements will need to be replaced in the near future. Thermal cycling is to be expected in orbit, as the station or any other spacecraft moves into and out of the Sun each orbit, repeatedly alternating between extreme heat and extreme cold. Exterior elements are equipped with protective materials and mechanisms to diffuse temperature extremes, but over extended periods of time materials can become stressed. Some ISS materials may be subject to developing cracks as a result of extended cycling. Cothran mentioned the Tacoma Narrows Bridge which self destructed in 1940 due to resonating oscillations shortly after its construction as the situation to be avoided aboard the station. In the Winter 2014 issue of Space Safety Magazine, Dr. Joseph Pelton highlighted one of the lessons to be learned from NASA’ retired Space Shuttle Program. All of the planning documents envisioned the Shuttle as a 20-year program, whose operational life would have extended from 1979 to 1998. After the Challenger accident the Rogers and Payne Commissions in 1986 indicated that the Shuttle needed to be replaced by a new vehicle in, at most, 15 years or, as simple math would indicate, it should have been replaced by 2001. Yet the Shuttle fleet flew through 2012. Of course, in those intervening years one of the great tragedies of the Shuttle program took place. This lesson is directly applicable to the future of ISS. The International Space Station is a vast network of precision instruments, each with its own design assumptions and operation foibles. 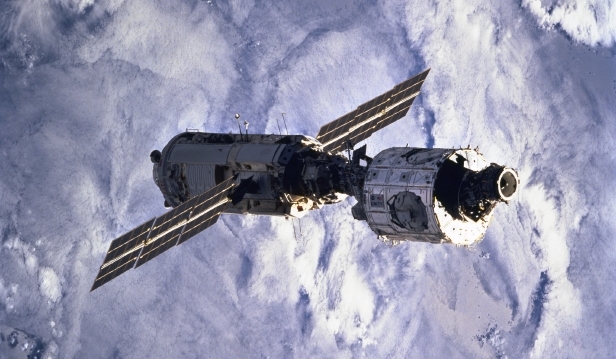 Unlike the Shuttle, ISS was designed on a modular basis, with some expectation of on-orbit repair built in. Nevertheless, as we move forward into extended use of ISS, hypervigilance will be necessary to stay ahead of malfunctions and failures even as we revel in the continuing cascade of out of this world research that – we hope – makes it worth the risk. Here at Space Safety Magazine, we recognize the immense accomplishment the International Space Station represents, both technologically and politically. Join us in promoting the nomination of the ISS Partnership for the Nobel Peace Prize to achieve global recognition of this monumental feat. Learn more at issnobelprize.com and get involved.